If you were to ask me what my favourite month is, I’d answer October without hesitation. The reason for this could be one of a number of things: It was the month I met my wife – we always go away for an October half term break – and I also look forward to the Woodlore end of season staff barbecue. These, though, aren’t the real reasons. 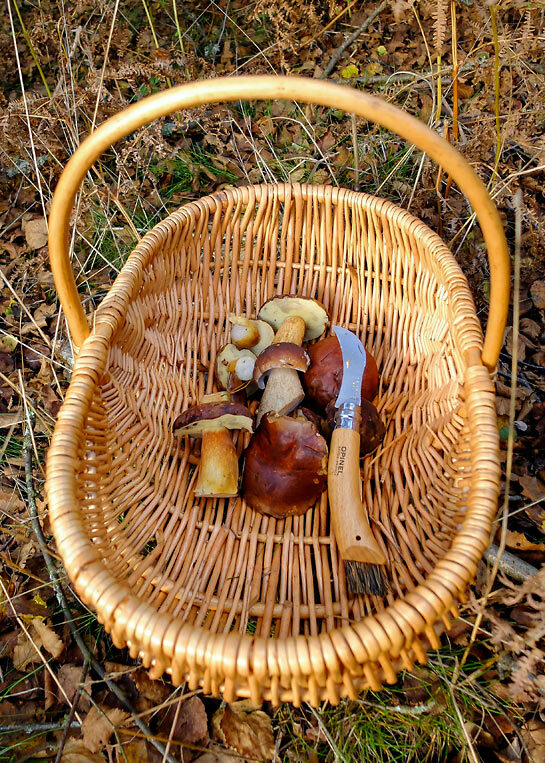 I love October for one above all others – foraging. I simply love to forage for wild fungi, and October never lets you down. September can be amazing, but it is a fickle month on the foraging calendar. It blows hot and cold. A late autumn and September can produce little. November can be good, but the enjoyment is always slightly tarnished because all too soon it will be over. October is the month. This entry was posted in Bushcraft Tips & Guides, The Woodlore Team and tagged best month, Britain, foraging, fungi, mushrooms, uk, when to, wild food on October 30, 2014 by Woodlore Limited.